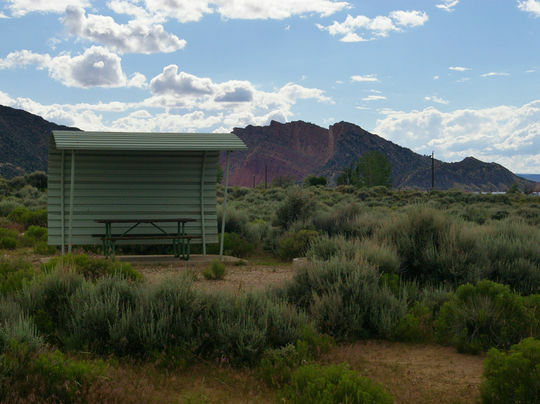 Campers love Antelope Flat for its easy access to fishing, swimming and boating in Flaming Gorge Reservoir. Nearly every site within the campground offers scenic reservoir and mountain views. Russian olive trees and cottonwoods dot the rolling, sagebrush-covered landscape. Shade is limited, and temperatures range from warm days to cool nights. Antelope Flat is generally open from mid-May through mid-September. Sites are both tent and RV-friendly although no electrical hookups are available. Parking is level. A fire ring and picnic table are provided for each campsite. Some tables have a cover for protection from the wind and sun. The campground also has piped drinking water, flush toilets, trash receptacles, boat launch, dump station, beach access and fish cleaning stations.